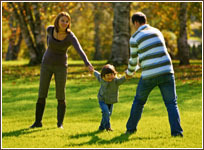 Parental rights involve the legal relationships between parents and their children. Every parent has the obligation to provide food, clothing, shelter and medical care to their child. Parents also have the responsibility to do what is in the best interest of their child. Divorce does not change the obligations a parent has to provide for their child. In a divorce proceeding, most times parental rights are boiled down to custody and child support issues. The rights of a parent are sometimes terminated, but in a divorce case that is somewhat rare. Judges want to maintain a parent-child relationship in most cases, but some severe issues could lead to termination of a parent's rights. Parental rights can also be given up voluntarily if the parent either chooses to not participate or physically cannot care for a child. This normally occurs when a child is being put up for adoption. Each state has its own definitions and specifics for laws pertaining to parental rights. If you want to protect your parental rights in your divorce case, discuss your concerns with an experienced divorce attorney.